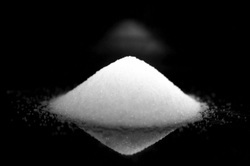 Modern medical science still uses salt for healing our bodies. The spiritual salt of God heals souls, families, communities, and nations. A mandatory part of offerings to God. A symbol of covenants and goodwill: not only between God and man, but also between men. With food: for flavoring, and preservation. To cleanse newborns and prevent infection, and to heal diseases of the skin. Used to spoil the soil of a captured enemy city so that nothing could ever grow there again. God salted the plains of Sodom and Gomorrah for that purpose. In contrast, Elisha used it to restore a poisoned spring of water which had caused the land to be barren. The only way to approach God is through the Gospel of Jesus Christ proclaimed through human means. We are a sign, a living epistle, of the new covenant (new testament) proclaiming "...on earth peace, goodwill towards men!". We preserve souls and society for God's purposes, while simultaneously spoiling them for the devil's schemes. We transform barren souls, and barren cities, with springs of living water. You may not be able to make a horse drink, but you can add salt to its oats, and thereby make it thirsty for water! The marvelous work of Christ within makes us the spiritual salt, and also the thirst-quenching "fountain of water" where others may come to find everlasting life! Where your feet may not carry you, and where your voice may not be heard-- your prayers on behalf of others are carried to and heard at the throne of God. God honors "prayer walking" when we talk to others about God as we talk to God about others. And not when we merely stand on ground were demons tread. Medicine - Saline solution in IV lines for treatment of dehydration, and prevention of shock after trauma. Denistry - Saline wash after dental procedures promotes healing of gums.